Whether you are buying a home that is new to you or have a residence several decades old, the tell-tale signs of cast iron piping are always the same. Thankfully, instead of dreading the repair or replacing cast iron drain pipes, you can have epoxy cure-in-place pipe lining professionally installed by a plumber. This immediately increases the value of your home, and makes it a helpful tool for real estate agents to make your residence marketable since water line replacement comes with an affordable price as well as a warranty. Contact Us for all your cast iron pipe replacement and repairs! 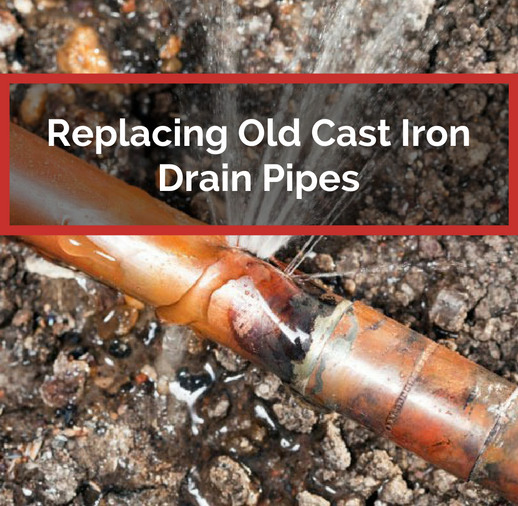 Sadly, cast iron pipes were not built to last, but at one time they were a strong solution for the purpose of moving large amounts of water and sewage in and out of a home. Of course, the ultimate purpose of cast iron pipes was to create a watertight plumbing solution when plastics were unavailable. In those times, they knew that a day would come when the cast iron pipes would have to be replaced, and anticipated ripping out walls, floors and the backyard to get the job done. Thankfully, today’s homeowners no longer need to see this as the only possibility. What if you hired a plumber and knew that you would not see them for at least two decades? In many cases, the industry of plumbing in the traditional sense of the word is going away because a stronger solution has been found for plumbing and sewage piping. In traditional plumbing services, no matter what material the pipe was made from, there would come a day where it would need to be exposed by ripping up the ceiling, floor, walls or yard. 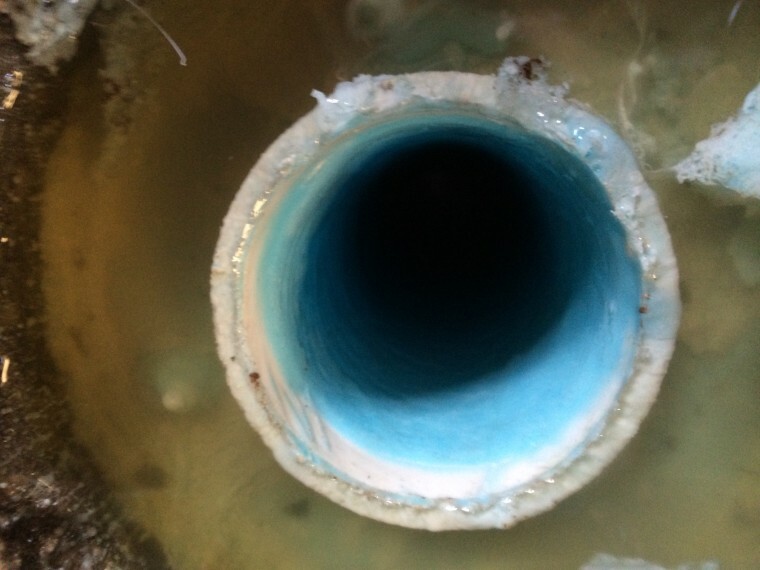 Now, sewer line repair and cast iron, PVC or copper pipe replacement is done from one entry point with epoxy coating that cures-into-place inside your old cleaned pipes to become a stronger pipe. America is in the midst of a lead poisoning crisis from the Flint, Michigan scandal, and many homeowners outside of Michigan are doing tests only to find that there are lots of problems with their current pipes. Outside of a pipe that is made of lead that was forgotten in renovations over the years, some homeowners find that the reason they have low water pressure is due to mineral buildup inside of cast iron pipes, and they worry that this leaves their fresh water exposed to contamination. The good news is that cure-in-place pipes are U.S. Navy and FDA approved. While the system is new in America, it has been commonly used for over four decades in Japan and Europe. When we say we offer residential plumbing services, this means we help you get the job done with an array of techniques that sometimes involve special tools. For example, in addition to the cure-in-place epoxy method, we also replace cast iron pipes on occasion by tunneling. After specialized tunnels are created, we can expertly replace a cast iron pipe with 40 PVC pipe. One of the key benefits of doing this kind of job with tunneling is that it does not disturb the landscape surrounding the home. The leaking pipes that are replaced with tunneling may also be important to stop foundation shifting due to the need for sewer line replacement. At Accurate Leak and Line, we are dedicated to our Dallas, Ft. Worth, Austin, San Antonio, and Arlington, TX customers for new or old plumbing repairs and services. With many homeowners, they think they need to wait until there is an emergency to call a plumber, but an inspection or regularly scheduled maintenance call can save you money by catching a problem before it begins. Whether you notice the ceiling is getting brown due to a pinhole leak or you have some serious sewer line repair that is needed, give us a call today. In addition to cast iron, we service and replace pipes of any material type. To get started, call us and our friendly staff can help answer your questions in a language you will understand.